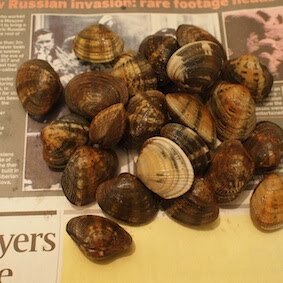 I was looking for clam in different super markets but I finally found it in local fishmonger. 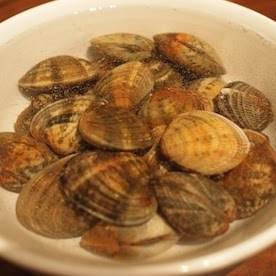 Clam should be leave in salt water for them to put sand out before use it. 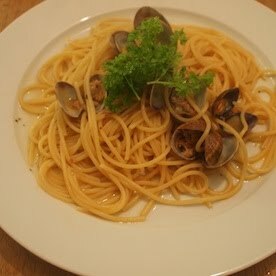 I simply made Vongole with clam. Here is my dinner tonight. 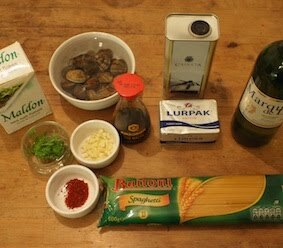 I can't wait to make a clam soup next time. 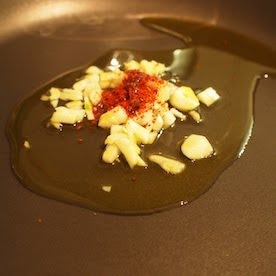 Clam gives very good aroma and taste.